Director John Crowley and writer Nick Hornby never even try to temper the flood of emotions that this story elicits, instead wading straight in. Thankfully, they manage to resist sentimentality at every step, although perhaps some more offhanded, edgy humour would have helped balance it better. Because as is, this film can be rather overwhelming at times, thanks to the sensitive, honest performances from the cast and a subject most people can identify with: how it feels to leave home. 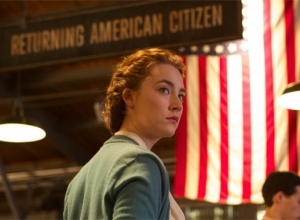 It opens in 1950, as Eilis (Saoirse Ronan) is reluctantly preparing to leave her home and family in rural Ireland for a new life in New York City, arranged with the help of an Irish priest, Father Flood (Jim Broadbent). As she settles into the boarding house run by Mrs Kehoe (Julie Walters), she gets a department store job and starts studying bookkeeping, all of which helps take her mind off her homesickness. 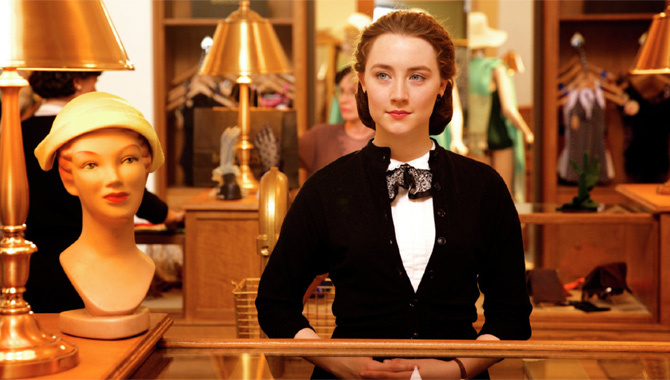 She also meets the persistent, charming Italian-American Tony (Emory Cohen), and they fall lustily in love. Just as life doesn't seem so bad after all, Eilis gets bad news and has to travel home to see her family. There, she meets the eligible bachelor Jim (Domhnall Gleeson). And now she will have to make a decision about where her home is. The film's tone is open and emotive from the very start, with warmly glowing cinematography, a surging musical score and lots of over-serious conversations. The hills of Ireland have never looked so green, the bustling streets of Brooklyn never seemed quite so exciting. There are some comedic touches here and there, but the main tone here can be summed up in the word "yearning". This is a film that's easy to identify with for anyone who has ever moved away from home, especially as it explores conflicting loyalties and unexpected opportunities. These themes are much stronger than the romantic triangle that drives the film forward. The seventh and final season of 'Mad Men' premiered last night (2nd April) in Los Angeles and was attended by the whole cast - past and present. The season 7 premiere of Mad Men was attended by the whole cast as they celebrated the final series of the long running drama. 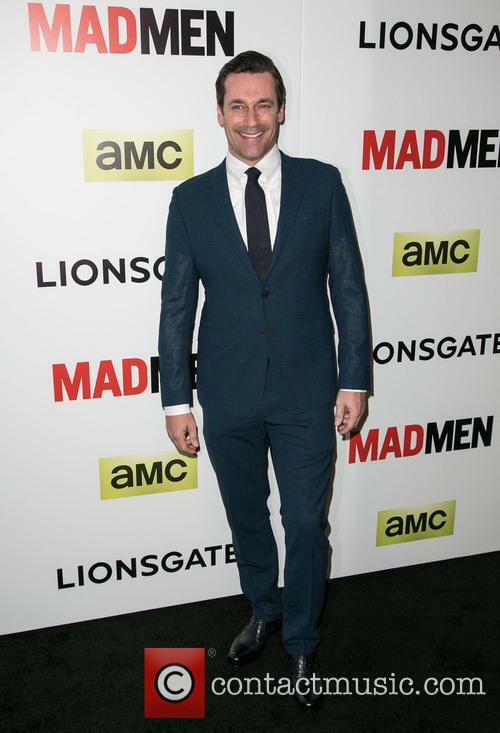 Jon Hamm at the season 7 premiere of Mad Men. The period drama which focusses on a New York advertising agency and executive Don Draper (Jon Hamm) has aired since 2007 but the network behind the hit show, AMC, announced last year the seventh series would be the last. There was a huge diversity of movie stars arriving at the annual White House Correspondents' Association Dinner at the Washington Hilton including 'Nashville' star Connie Britton, 'Homeland' star with her husband Hugh Dancy and 'Parks and Recreation' actress Amy Poehler. Oh January Jones, how you hath incurred the wrath of the shallow media world today. January and her Mad Men co-stars arrived at the Paley Centre for Media’s screening of the new Mad men show on Tuesday wearing a denim jacket, leather trousers and a white, sheer, lacy blouse. What were you thinking, January Jones!? Yes, it’s 2013. Yes, we are a more open-minded breed of people than those portrayed in the retro drama series in which you star. 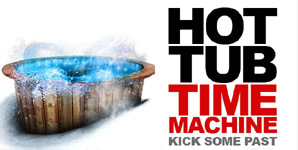 No, there aren’t ACTUALLY any rules about these things. But oh, how you have angered the media with your “confused” look, your carefree mixing of materials, your devil-may-care approach to making sure that you fit in with your co-stars. Frankly, we’re struggling to see the problem with January Jones’ outfit. In fact, we’d happily scour the high street shelves for hours in a vain attempt to copy the look. When Adam and Nick discover their friend Lou almost killed himself (by accident, though they're not convinced) they decide to take him and Adam's nephew away for a break. Where better to take their old mate than Kodiak Valley Ski Resort a place where all three men have fond memories of their past. Nothing could better use a solid send-up than the beyond egomaniacal fashion model "industry," a self-obsessed, navel-gazing enterprise of nonsensical characters if ever there has been one. French Canadian director Denys Arcand (best known for Jesus of Montreal) has created some biting social commentaries in the past, but Stardom is far from a masterpiece. Stardom tells the story of an unknown female hockey player named Tina (Jessica Paré) who finds celebrity in the modeling biz when a happenstance candid photo of her on the ice becomes all the rage. Soon enough she's an up-and-comer in Montreal, jetting off to Europe for photo shoots and parties, and indulging in the usual trappings of the supermodel race. When you're an impressionable young gal in prep school, and your roomies figure they'll get it on, well, what are you supposed to do? Ah, the perils of going to an all-girls school, where lesbianism seems to run rampant. Alas, for poor Mouse (Mischa Barton, who absolutely embodies her character name here, the job of secret-keeper is heavy to bear. It's made all the worse when the roommates split up after Tory (Jessica Paré) decides she can't do the lesbian thing any more after her kid sister walks in on them -- and Paulie (a very young Piper Perabo, Coyote Ugly) will go to any lengths to get her back. Poor Mouse is caught in the middle, but rest assured, there's plenty of time for the girls to cry and talk about, you know, feelings and stuff, when Paulie isn't scheming to get back her gal. There's even a kindly gardener to lend a shoulder to cry on and some fatherly advice. Wicker Park is a remake of a 1996 French film that nobody saw, called L'Appartement. Don't bother looking for it now; it's not available on DVD in the United States. If the premise of Wicker Park holds any interest with you, you'd best go see it soon, as the film is unfortunately destined to meet a similar fate as its predecessor. Explaining the film - or even saying what genre it's in - is a bit tricky. Josh Hartnett plays a young ad executive named Matthew, who's obviously done well in parlaying a job as a camera repairman into a creative position in New York. Briefly back in his old home town of Chicago before jetting off to China, Matthew abruptly runs into old pal Luke (Matthew Lillard) and catches what he's sure is a glimpse of old girlfriend Lisa (Jessica Lange-lookalike Diane Kruger, last seen as Helen of Troy). Luke - on the cusp of marrying his boss's daughter (Jessica Paré) - is thrown into such a panic he blows off his trip overseas. What unfolds over the next two hours is the story of Luke and Lisa - how they met, how they abruptly split up, and the strange mysteries that are hidden in the past. I am about to recommend a movie in which three of the four leads are terrible -- or at the very least meager talents terribly miscast. It's a brilliantly twisty, multiple-point-of-view romantic thriller entitled "Wicker Park," starring furrow-browed but otherwise expressionless Josh Hartnett ("Pearl Harbor") as Matthew, an uneasy young turk in Chicago's advertising world who abandons a career-making, deal-sealing trip to China so he can chase a ghost, the fleeting glimpse of a girl in a restaurant -- the love of his life who vanished without a trace two years before. Angularly pretty Diane Kruger -- the entirely underwhelming Helen of this summer's "Troy" -- is said girl, whom we meet in several fantastically structured flashbacks that come as jolts of memory at pivotal moments and fill in the histories of various characters, begetting startling plot developments in the process.